The library, a place generally associated with quiet and tranquillity. 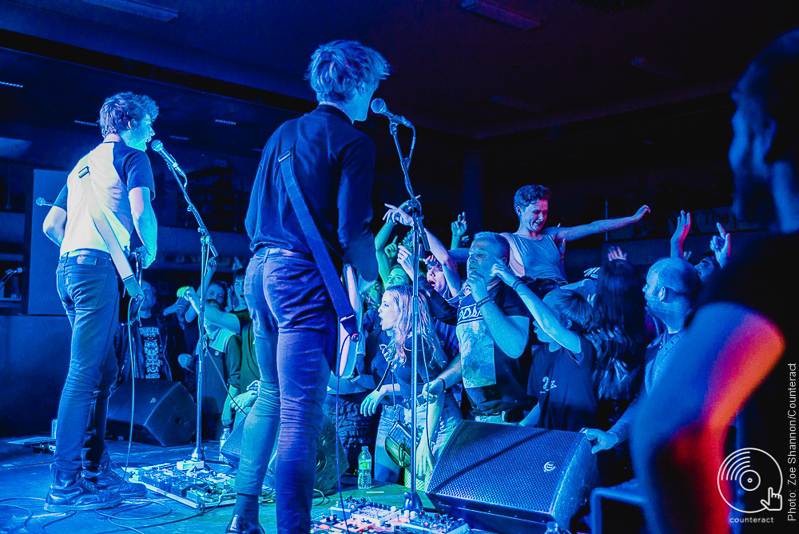 Yet on an ordinary Saturday night, the calmness was flipped on its head as punk band VANT blasted through the shelves for their last English show on their farewell tour. 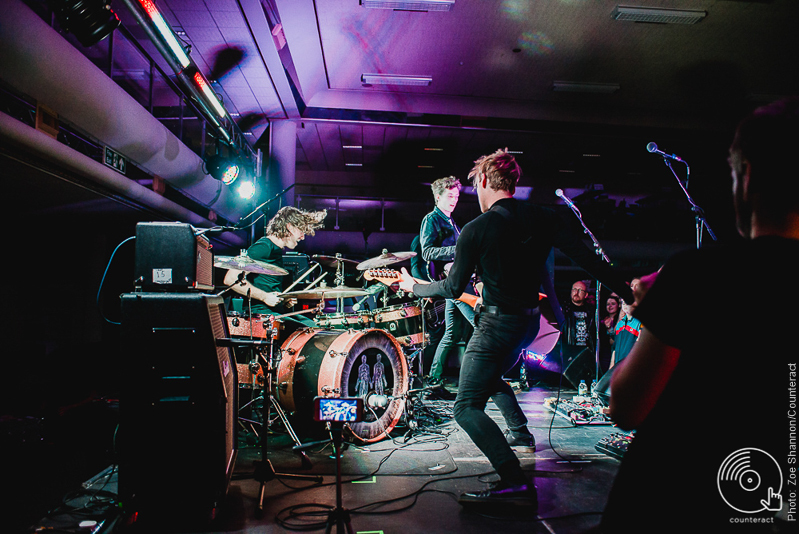 The band announced their indefinite hiatus alongside leg of shows in overlooked small towns across the country, a few of which were put on by Get It Loud In Libraries. This is a project that brings artists from a multitude of genres to play in the unexpected location of local libraries. 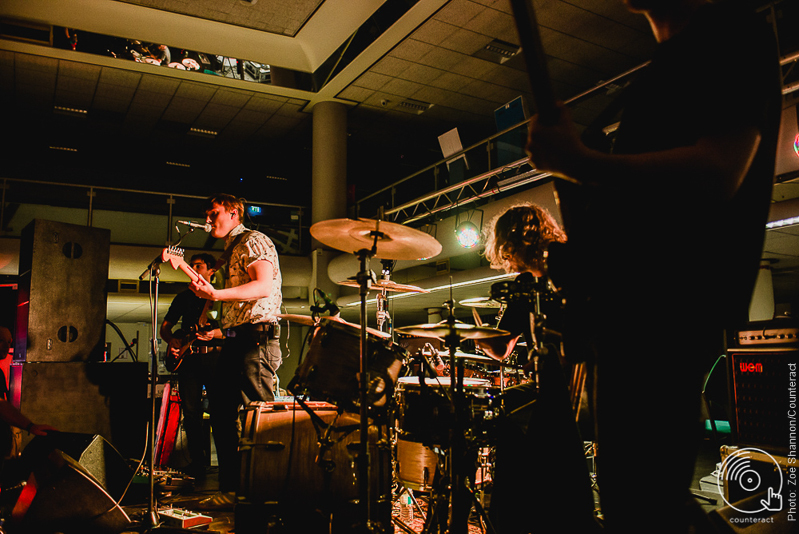 Starting off the evening, emerging Newcastle singer Sam Fender provided support. His bellowed vocals combined with thudding drums and clanging guitars, capturing the attention of early arrivers. The impression given was largely positive as Sam came across as distinctive and talented, with a sound that is likely to gain him broader recognition in no time. The electric twang of the infectious chords on “Fly By Alien” struck through the venue as VANT took to the stage. Fans did not hold back despite the formal carpeted setting. Far removed from sticky hard gig venue floors, the pits still opened and didn’t cease to close until the finale. The gig felt special as you could see the happiness from many in the room. Smiles shone and friends embraced, dancing and moshing without a care. 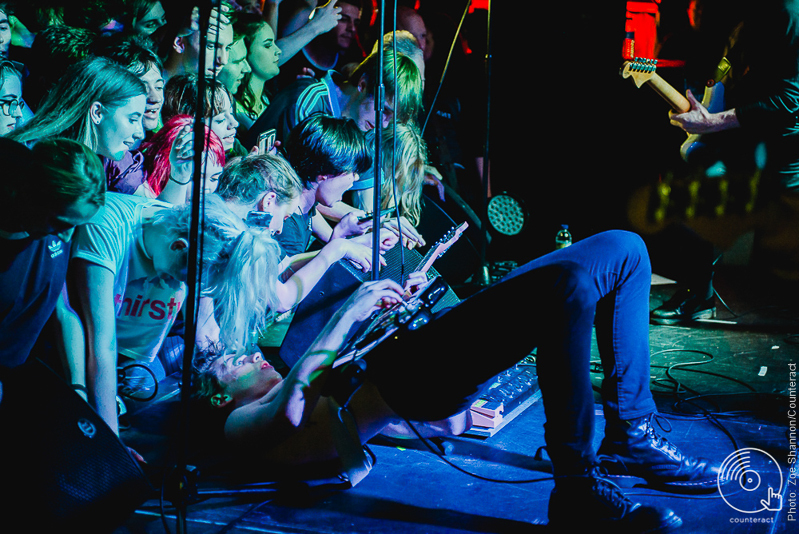 VANT performed with a tight cohesion going through tunes from their debut album and latest EP. Particular highlights came from the anthemic “Headed For The Sun”, as blaring guitars and bass aired with the crowd chanting the chorus. The squalling riffs of “Parasite” reverberated through the room and catchy verses of “America” made it difficult to stand still. 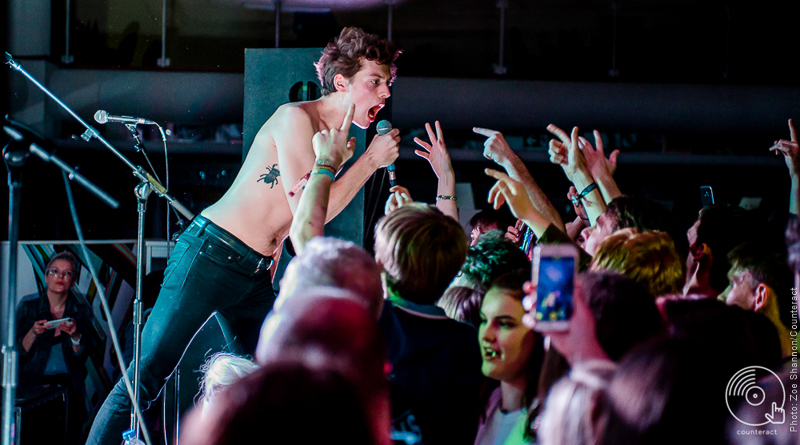 Things got hot and sweaty as lead singer Mattie flung his shirt off in typical rock star fashion. He gazed back at the crowd with an intense animalistic like focus, engrossed in the rapid chaos of their performance. “Everyone’s knees at the front alright? 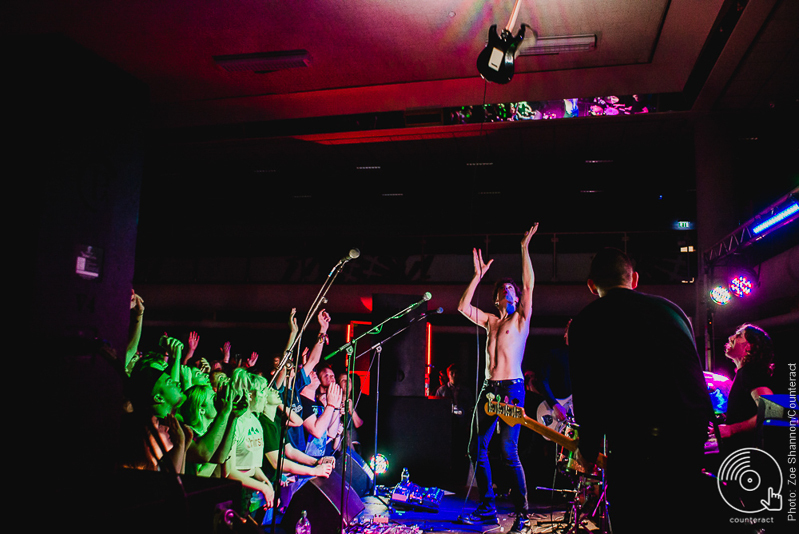 That’s what you get when you let a punk band play in a library. Anyone a member? F****** join it, it’s great” he hilariously remarked. The night ended on a high with a classic stage invasion. Crowds surrounded the band all singing and bouncing in a fun rebellious fashion. The band sadly had to cease performance to ask people to get off as the stage was not able to hold the weight, a laughably awkward moment. To describe VANT’s performance: simply, it was an exuberant display of intense, bold musical energy that had a powerful impact. Not once was there a lag in their quality or stage presence. They’ve left their mark and whatever they go onto next, they are sure to be remembered for their captivating skill as a live act. Media and Communications student with a passion for music and discovering new artists. 90% of the time you’ll find me at a gig. I listen to a really wide range of artists such as The 1975, Two Door Cinema Club, Bombay Bicycle Club, Ed Sheeran, Disclosure, Lorde, Florence and The Machine, Ben Howard, as well as a tonne of pop music like Taylor Swift and Ellie Goulding. Media and Communications student with a passion for music and discovering new artists. 90% of the time you'll find me at a gig. I listen to a really wide range of artists such as The 1975, Two Door Cinema Club, Bombay Bicycle Club, Ed Sheeran, Disclosure, Lorde, Florence and The Machine, Ben Howard, as well as a tonne of pop music like Taylor Swift and Ellie Goulding.